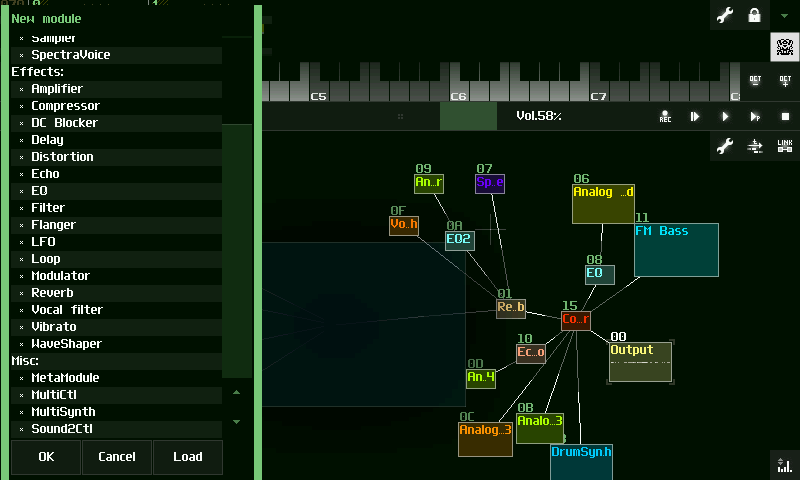 SunVox is a small, fast and powerful music sequencer with modular synthesizers. 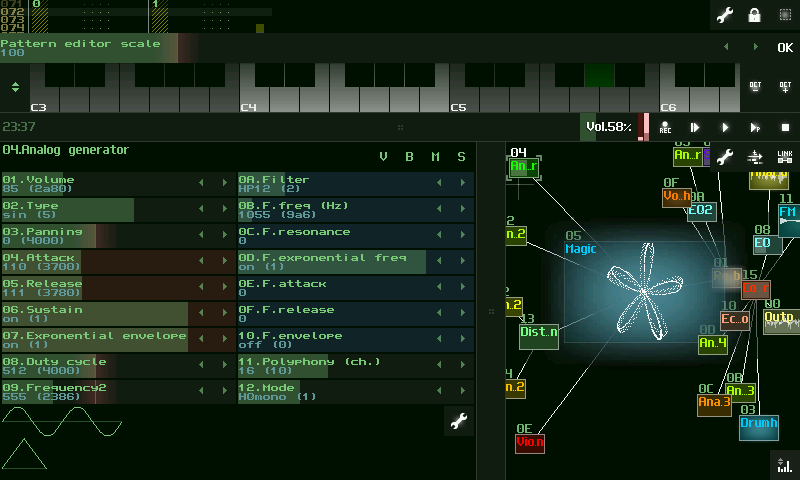 It is a tool for those people who want to compose music anywhere. 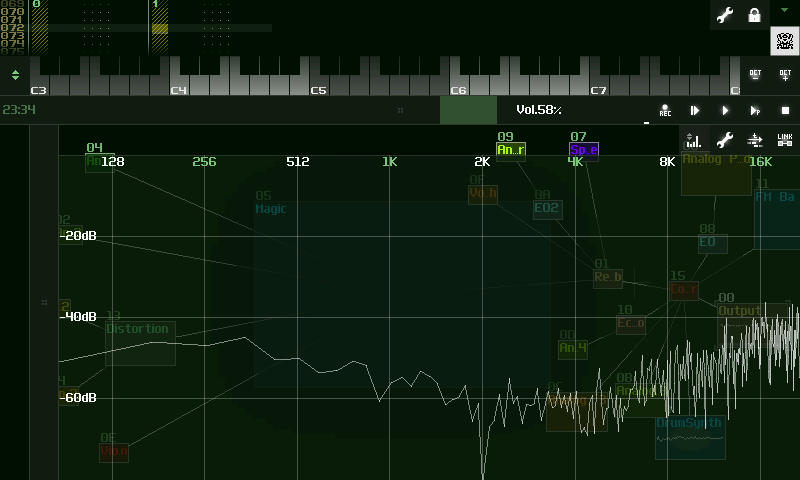 SunVox available for desktop PC (Windows, Linux, Mac OS X), pocket computers (Windows Mobile, PalmOS, iPhone/iPad) and netbooks. 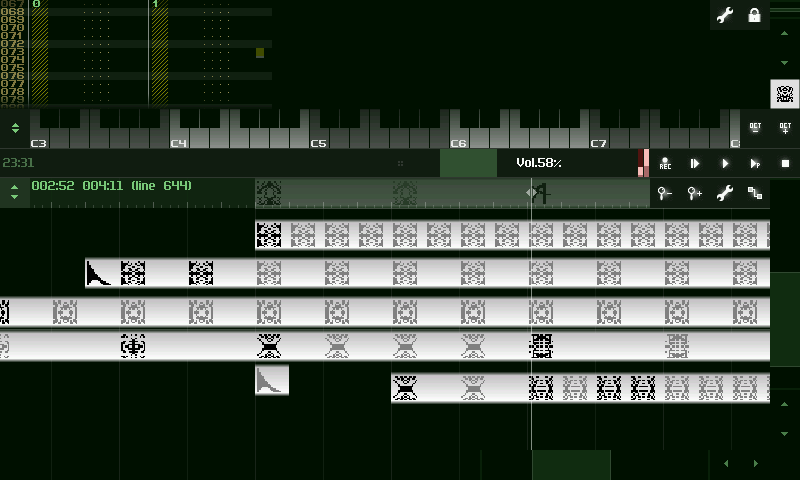 This is ported version of SunVox for Maemo. Pixel zoom and other options that might not be accessible via in-app menu can be tweaked in appdata/SunVox/sunvox_config.ini. Did you enable the USB host in the system? 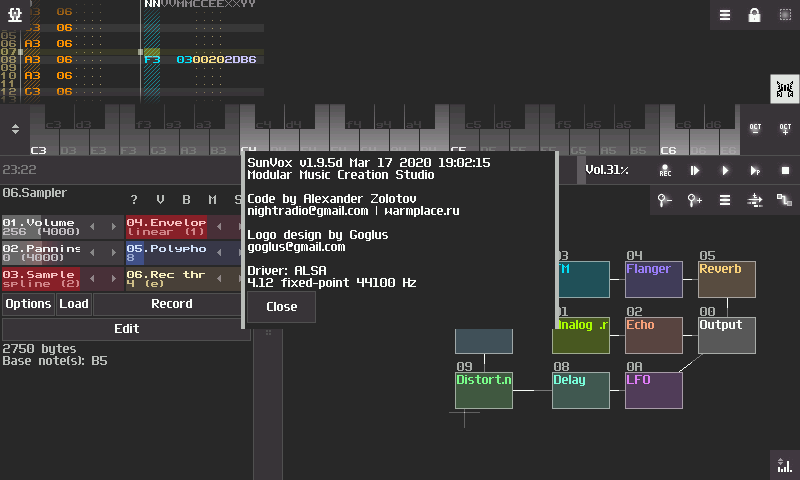 Can you see your MIDI keyboard when typing "lsusb" into the terminal? Check the thread on forums (see the link above), there are some tips from various users. USB hub is always advised. This is one of those apps that makes you wish you had another parallel lifetimeline to just play with all day. Wow.